Nine months after the Senate resolved to investigate alleged $25b contract scam in the Nigerian National Petroleum Corporation (NNPC), no positive step has so far been taken to provide details to anxious Nigerians. After its inaugural meeting in October 2017, the committee soon buckled under pressure, allegedly mounted on it by the Presidency, and other interested parties, within and without the National Assembly. Led by a former governor of Sokoto State and a staunch member of the All Progressives Congress (APC), Aliu Wamakko, the committee faced scathing criticisms after its chairman visited the Presidential Villa, only a few days after the body was inaugurated. The Senate had in the first week of October 2017, resolved to carry out the investigation following the disclosure by the Minister of State for Petroleum, Ibe Kachikwu, of alleged non-disclosure in the award of $25b worth of contracts by the national oil company. But neither Wamakko nor the Senate spokesman, Aliu Sabi Abdullahi, responded to questions on the matter after many attempts to reach them via phone calls and text messages by The Guardian. Signs that the exercise may not sail smoothly emerged quite early when the take-off of the investigation suffered initial postponements, before the committee eventually went into coma. In the last postponement, which was announced by the Deputy Senate President, Ike Ekweremadu on October 17, 2017, Nigerians were informed that the investigation would commence in earnest the following Tuesday. It never happened. When Senate President Bukola Saraki constituted the ad-hoc panel last year, following a resolution of the Senate and public outcry, the committee was given four weeks to submit its report. That deadline expired November 2017. It would be recalled that after the Senate announced its decision to probe the alleged contract scam, the Presidency came out to deny the existence of such. In the August 30, 2017 memo, Kachikwu attributed the slow growth in the oil and gas sector to illegal practices by departments and agencies under his ministry, especially the NNPC headed by the Group Managing Director, Dr. Maikanti Baru. He told President Muhammadu Buhari that the country’s petroleum industry would have recorded tremendous progress but for Baru’s alleged inaction. Kachikwu, who also presented five prayers to the President to save the oil sector from collapse said he was disturbed that $25b worth of contracts were awarded by Baru without his input and that of the board. 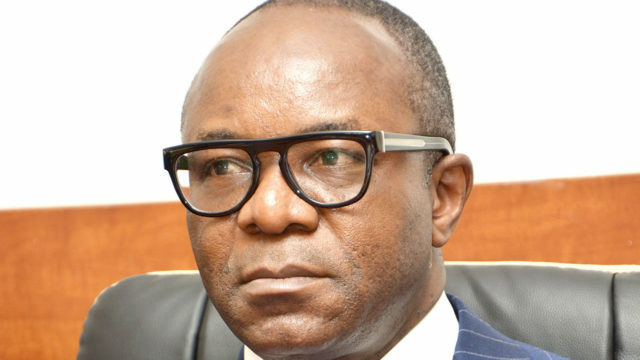 Kachikwu wrote: “The legal and procedural requirement is that all contracts above $20m would need to be reviewed and approved by the Board of the NNPC. Mr. President, in over one year of Dr. Baru’s tenure, no contract has been run through the board. This is despite my diplomatic encouragement to Dr. Baru to do so to avoid wrongfully painting you as a President who does not allow due process to thrive in the NNPC. “Given the history of malpractices and the public perception of the NNPC as having a history of non-transparency, the NNPC Tenders Board (NTB) cannot be the final clearance authority for contracts it enters into. “The NTB, which is a collection of level NNPC executives and COOs, with the GMD as chairman cannot continue to be the final approval authority for multi-million dollar contracts and transactions involving NNPC to the exclusion of the board. Board members have singularly and collectively raised these issues to no avail,” the minister stated. He continued: “As in many cases of things that happen in NNPC these days, I learn of transactions only through publications in the media. The question is why is it that other parastatals, which I supervise as Minister of State or chair of their boards are able to go through these contractual and mandatory governance processes and yet NNPC is exempt from these? Meanwhile, the House of Representatives is poised to probe authorities of the national oil company over the unresolved controversy surrounding the contract award.